yellow pear, originally uploaded by Blij Als Mij. pears, originally uploaded by Blij Als Mij. some greens, originally uploaded by Blij Als Mij. 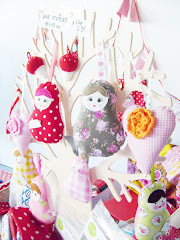 Now I want to make some apples too...anywone knowing a template?? beautiful - I love pears (and apples) and yours are sensational. I know the Japanese have a pattern for an apple in a book I have somewhere - not sure where though. Beautiful pears. The greens look so great and they do look kind of juicy! 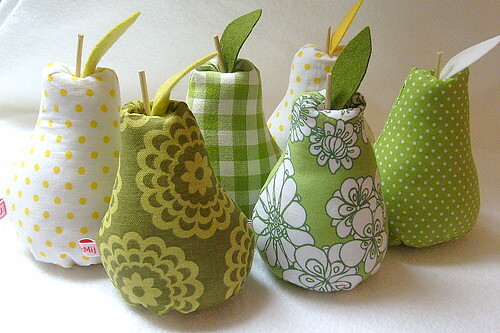 oh my what cute pears! i would love an apple template too...do share if you find one! Beautiful juicy pears. 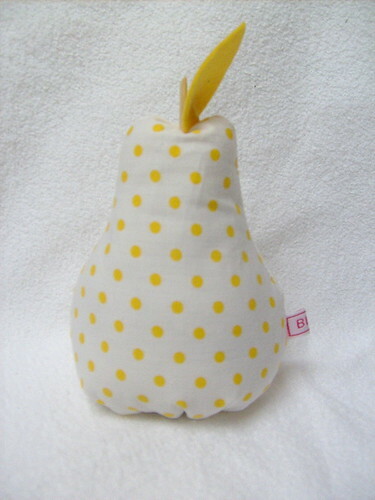 I have pear pattern too - must try it some day. It's fun to see the fabric, I sent you. 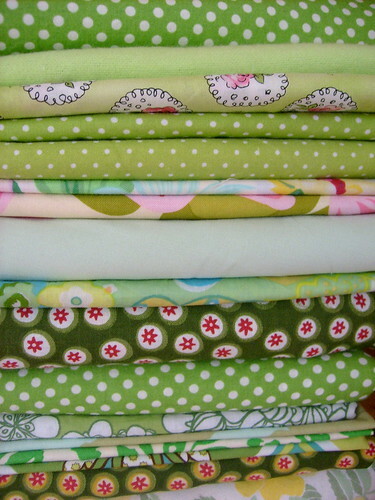 Love your green fabrics - especially the dots! i really wish i could buy your wonderful things...am i missing a link to switch it to english? i love so many things on your site but feel left out. help! 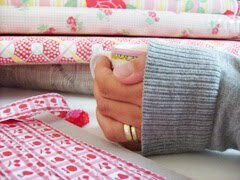 i don't sew but i loooove fabric and ribbon...i am a graphic designer so i illustrate books and things for my son. 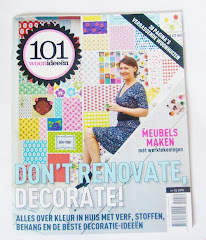 a true fan of your site!